You can thank (or blame) Fortnite for plenty of things, from continuing the battle royale trend post-PUBG to ensuring we all know a lot more about copyright law as it relates to dance moves. Apparently, we can also point to Fortnite – and online games like it – as a key factor in getting the UK to spend more money on better internet packages. The switch to improved internet has cost each UK household an average of £184.32 annually, so it seems people are willing to spend in order to ditch the lag and improve those pings. This is all based on a survey of 2,011 Brits, which was more generally focused on the state of internet service in the UK and what users want out of their service providers. The UK is lagging – so to speak – behind other countries in terms of broadband speed, sitting in 34th place internationally at an average speed of 16.44Mbps. Generally accepted minimum broadband speed is 10Mbps, which 4% of UK homes do not meet. That accounts for 2% of homes in urban areas, but a full 17% of rural homes. 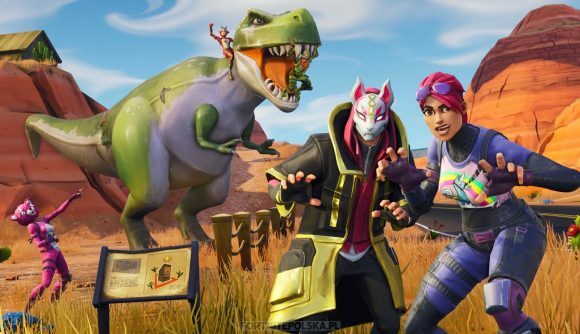 Fortnite player count is closing in on 250 million registered users – which, in a funny enough note, is about four times the UK population. It should not be surprising to see that those numbers are significant enough to drive internet service decisions, especially when paired with the millions of other online games people are playing.